Abhishek Prasad, who got operated admitted that he was asked to strum his guitar while the operation was on. It's quite common to hear bizarre stories at least once a day. But this one blew off our mind! 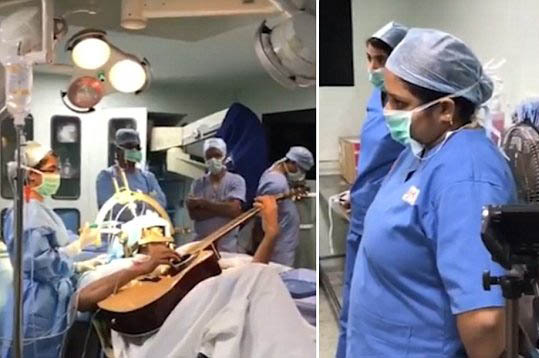 A 37-year old musician from Bangalore recently underwent a brain surgery and while the doctors were busy burning their way through the skull, he gleefully kept strumming his guitar. Sounds insane? There was a deeper reason behind this performance on the operation table. 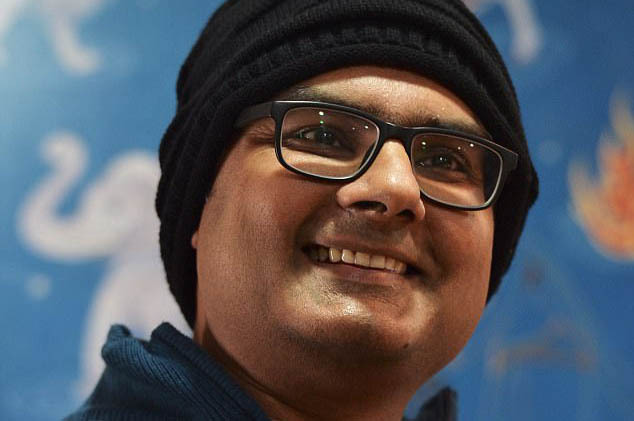 Abhishek Prasad, who got operated admitted that he was asked to strum his guitar while the operation was on. He left his job for his passion and took to playing guitar more professionally. But all of a sudden he experienced immense pain in his fingers, only to find out that it was related to his brain. Abhishek was asked to play the guitar so that he can give feedback to the doctor of whether his fingers had any more pain. He has recovered well, but left most of us stunned with his viral video. This incredible 7 hour surgery, had three positive outcomes. One, he got cured of his health issue, secondly the world knows his love for playing guitar and finally gives hopes to people to stay positive to achieve their dreams and goals come what may come in between. Have you ever secretly wished to switch your career? Or realized that your passion lies somewhere else and not what you are doing but think it's too late? Worried that people will judge you or not support you thinking you are crazy? Worry not. There are many famous people who realised their passion and started or switched their career and became very successful. Here's a list of 11 people across the world who never fail to inspire us with their work! The author of 'The art of French cooking' realized her love for cooking very late. She is known to introduce French cuisine to the American audience and hosted many TV shows. A movie has also been shot on her called Julie & Julia that celebrated her real spirit. "Who is Charles Darwin? ", asked no one ever! The man behind the biggest contribution to the science of evolution, has cleared many of our doubts on how life appeared on earth and how humans were evolved. The woman behind the magical world of Harry Potter, has lived a true story of 'rags to riches'. Being divorced, single parent and grappling with her mother's death, JK Rowling tried to end her life, but she got up and took charge of her life which lead her to stardom. Morgan Freeman of the Million Dollar Baby fame, though was associated with the glamour world and used to act and dance here and there, his entry to Hollywood was only post he turned 50! Morgan's daughter was murdered at the age of 33, but the grieving actor kept strong and gave us more hits like Lego, Ted, Now You See Me etc. Wang was known to be a prominent figure skater and fashion editor. Only at the age of 40 when she decided to get married, she ended up designing her own wedding gown and started her bridal boutique from the following year. This stylist has also bagged the Andre Leon Talley Lifetime Achievement Award. Boman Irani worked in the hospitality industry in his early career days, then switched to being a photographer and a voice over artist. This versatile actor has not only won IIFA and Filmfare awards, but breathed life to the ever green Munna Bhai M.B.B.S. A general salesman, showed the world that you can dream big at any age. Though McDonalds was owned by another set of brothers, Ray Kroc saw the brand's real potential and made it a household favorite across the globe! After losing his job as a lawyer due to brawl with his own client, Harland Sanders gave birth to the biggest fried chicken craze world-wide- KFC. He taught us, to never give up even if one door shuts, another opens! "I think a dream is just a suggestion to start something out, do something", he said. Stan Lee was a part of the US Military and served during the Second World War. But he was granted to work for films and cartooning once he was back. History was made once he started with Marvel Comics and we are ever thankful for his contribution. Chaleo started his career as a medical salesperson but later started his own pharmaceutical company. Little did he know a few experiments would result into the discovery of Red Bull. He died as the third richest man in Thailand then and was a part owner of a renowned private hospital in Thailand. Nicknamed as the 'Mayor of Silicon Valley', Robert Noyce is the man behind Intel. He fueled the creation of the first chip that helped in the computer revolution. He has received several national and international awards and suffered a heart attack at the age of 62. TV, Tablet or Mobile Phone: Which one is more harmful for your child? Study says that you might be wrong about your own allergies!